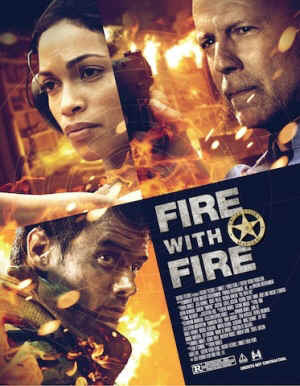 "Fire With Fire" is a very violent action drama about a firefighter, Jeremy, who is pursued by a terrible, racist gangster, Hagan, as he witnessed the death of a black father and son. As Jeremy tries to protect himself, Hagan begins targeting the people in his life, in a brutal crime spree. This movie has far too much violence and of a very graphic nature, to be enjoyed. It's just too much and it swallows up the storyline.